Whales that look like unicorns, lizards that squirt jets of blood from their eyes, naked rats that can sprint backwards… It seems as though some creatures have been put on this earth just to amaze us. 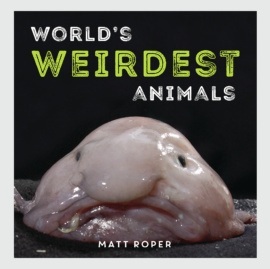 From the harmless but hilarious to the truly frightening and deadly, the animals in this book are guaranteed to keep you enthralled, astonished and extremely amused. Matt Roper is a feature writer for the Daily Mirror. He lives in London.